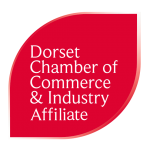 Dorset Chamber of Commerce and Industry are delighted to have partnered with the Dorset Growth Hub and Aspirin Business to deliver Developing tomorrow’s business leaders, a programme funded by the European Regional Development Fund. The programme is being offered free to eligible businesses in Dorset and is a great opportunity to enhance CPD (Continued Professional Development). It’s a fantastic course for aspiring managers and leaders that will benefit both any business and employee who attends. The programme – which will be delivered in Poole – consists of three modules over three mornings, covering the foundations of leadership and management while providing a superb opportunity for the delegates to network and build business relationships.